And they're still searching for a sea in Portland after all this time. Have to admire their dedication. Sea Searcher Meeting will be next Wednesday Night November 11th at 7:00PM. They meet at the North Portland Veterinary Hospital 3000 N Lombard St, Portland, OR 97217. The club was formed in 1963. 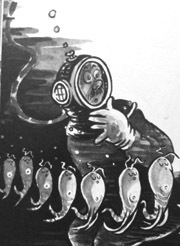 Many of the active members have been diving since the 60's and 70's. The can be hard to find because they have no club social media and no website. Yes still around. I went when I lived closer to N Portland. 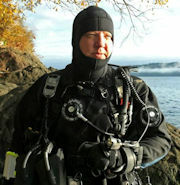 They meet in N Portland about once a month and have a series of club dives thru out the year. While they would love to have new people come to their club meetings.... unless you know someone who can help you find them its difficult. I see their president at the Oregon Scuba meetings from time to time.